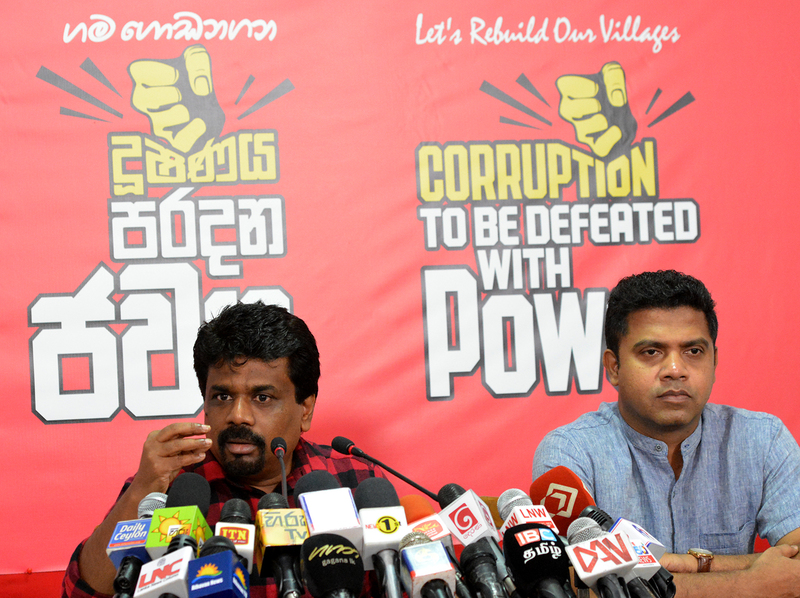 The JVP has decided to request, under the ‘Right to Information Act, for the final report of the Presidential Commission of Inquiry investigating into the Treasury Bond issue and reports handed over to him by the Presidential Commission of Inquiry appointed to investigate and inquire into serious acts of fraud, corruption and abuse of power, state resources and privileges, as the action taken by the President in connection with these reports have not been announced or published. JVP states the move is to prevent them being swept under the carpet. The final report of the Presidential Commission of Inquiry investigating into the Treasury Bond issues between 2015 and 2016 and appointed on 27th January last year was handed over to President Maithripala Sirisena on the 30th. Also, about 17 reports by the Presidential Commission of Inquiry appointed to investigate and inquire into serious acts of fraud, corruption and abuse of power, state resources and privileges have been handed over to the President but what action has been taken regarding them have not been reported yet. The JVP, taking advantage of the ‘Right to Information Act, is taking measures to obtain the reports so that action could be taken using such reports. Every passing moment adds to our knowledge and experience and at the same time, each and every moment of the future will judge our capabilities to face new emerging challenges. The great commitment and determined courage shown by us to face those challenges and achieve our goals will take us to the level of excellence. We should bid farewell to the year that ends and welcome the New Year, with new expectations, while prioritizing that vision. Accordingly, as a country, we can consider the past year, as a year in which many positive expectations have been fulfiled.Furthermore, we enter the year 2018 with many challenges that we must face with courage in order to accomplish our goals. The economic prosperity we should gain as a country, the reconciliation which should be deeply instilled in the society, human freedom and a further endorsement of the glorious image of Sri Lanka at the international fora are among those priorities. Our determination and commitment towards making the New year that begins an amazing one will depend on how far we succeed in achieving these goals. The News year dawns at a time when a miraculous beginning of a new chapter of development with a gigantic hydro irrigation project being vested with the people to take the nation speedily towards prosperity. According to the MoU reached between the UNP and the SLFP the period agreed by the two parties to stay in the ‘unity’ government ended yesterday (31st) and MPs of the SLFP had a special meeting yesterday evening. As the talk was that a decision would be taken whether to remain in the government or leave it at this discussion yesterday was a decisive day for the Ranil – Maithri administration. There was no consensus among SLFP members until yesterday evening regarding what decision to take but finally, they have decided to remain in the government. SLFP seniors who were clamouring to leave the government and engage in a campaign opposing the UNP too have agreed to the final decision taken to remain in the yahapalana government. One group of MPs had put forward eh argument that leaving the government would isolate the President and they have to remain in the government to support President Maithripala Sirisena who is also the President of the SLFP. As such, all MPs have agreed to remain in the government.